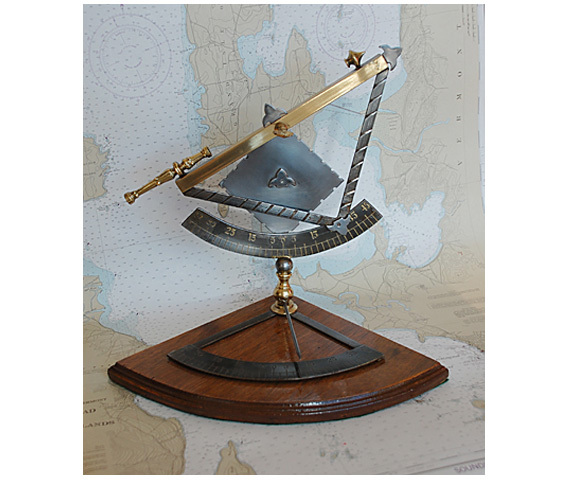 This is a vintage (probably 40ties - 50ties) high-quality reproduction of an early sextant or an quadrant (we are not sure which). 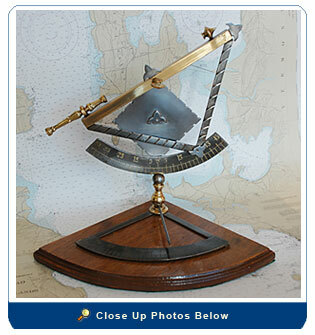 It is constructed of brass and steel. The base is solid mahogany (the base was re-felted). This antique has been brought back to original condition… the metal was polished and sealed and the wood was stripped and refinished with three coats of marine spar varnish. This is a very rare item. Size: Base Two Sides are 10” and it is 13” High.